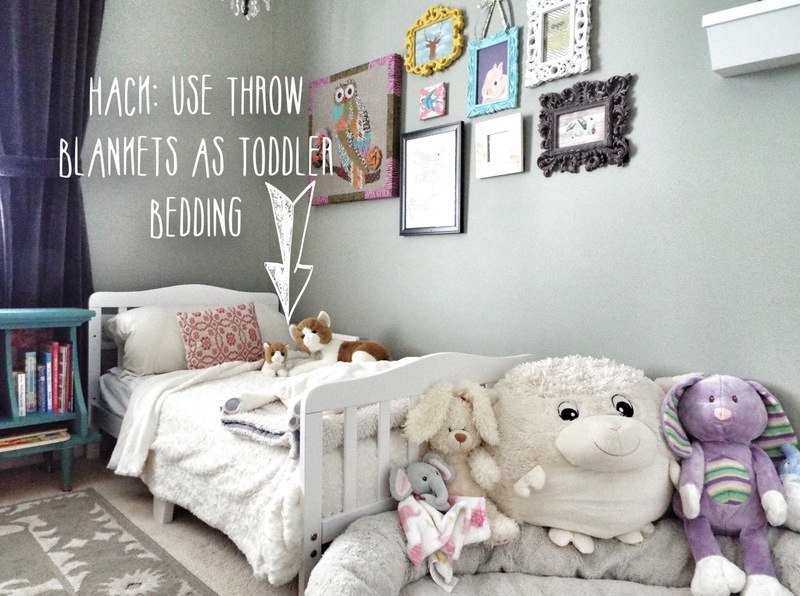 Did you know a 50″x60″ throw blanket makes the perfectly sized comforter for a toddler bed? You’re probably already dreaming about sifting through the luxurious, throws-of-many-colors at HomeGoods. 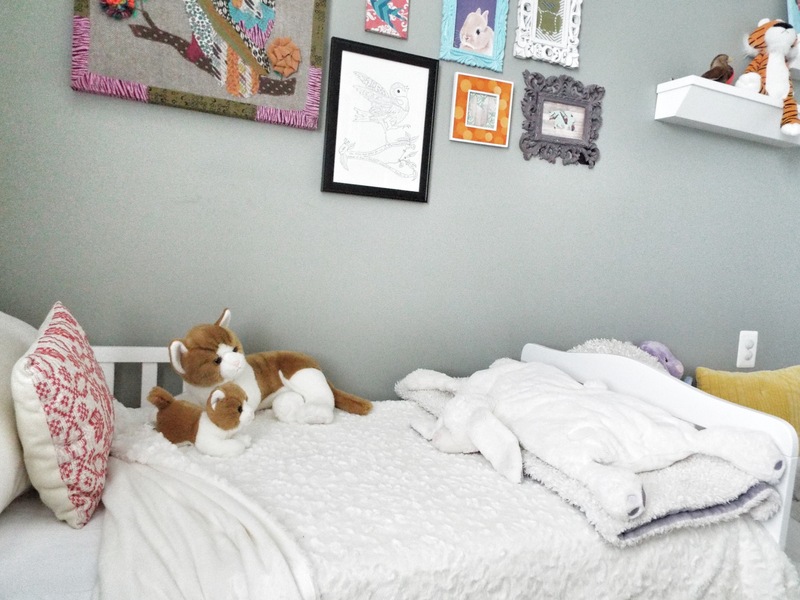 The options for your Little’s nest just got a lot bigger, softer, and easier to pair with your existing decor. Don’t you just want to curl up on here? What’s more, this throw cost $14.99. Heckuva lot cheaper than those seizure-inducing character comforters and adorable but pricey Land of Nod / Pottery Barn Kids-type bedding sets. That one might be harder to find, but I’m sure you can find one somewhere. Etsy, amazon, who knows.